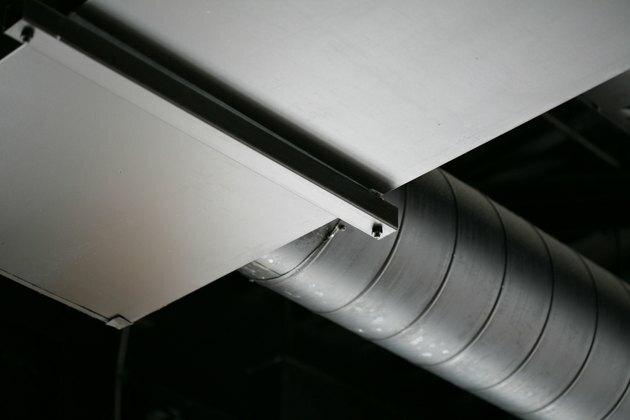 Ductwork runs throughout an entire house or building and is a main component of your ventilation system. Naturally, it is important to keep these ducts clean and sanitized to prevent the spread of germs and spores through the air. Mold is the primary concern with ducts, as it can easily build up in these isolated areas and can be tough to eradicate. Properly sanitizing a duct consists of a great deal of work, and the equipment required to sanitize the ducts correctly can be expensive. It is important to weigh the costs of buying the equipment yourself against hiring professionals to sanitize your duct for you. Put on your mask and safety goggles. This protection will keep you from inhaling dust, debris or mold spores. It will also protect your eyes from flying particles that may get into your eyes during the cleaning process. Close all but one vent. Other vents may need to be covered by cardboard or taped shut. Other open vents will allow ozone to leak back out of the ducts. 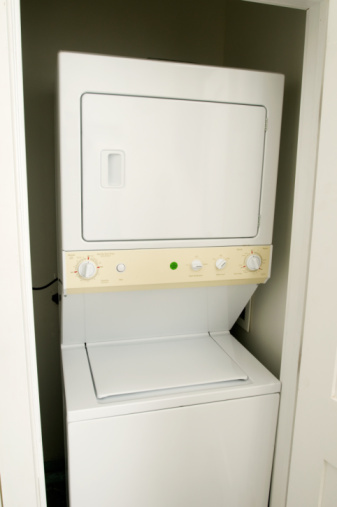 Mold will not be completely removed if the ozone is leaking during the sanitation process. Attach a hose to the ozone generator, and run the hose into the open vent. Turn off the air conditioning, as ozone does not function well in cold climates. Turn on the ozone generator, which will spray ozone into the duct through the hose. The generator may need to be ran continuously for two days to exterminate fully all the mold from the ducts. Clean up all the dust and dirt that spewed from the ducts during the vacuuming process. Leave your mask on when vacuuming and sweeping up these particles, as they could still contain mold. Can I Paint Furnace Ducts?